I do all kinds of online gaming. I am always down for Gamecube BBA games, Dolphin Dual Core netplay, and many other Emulated netplay games. Just hit me up on Skype. Those are some pretty fast internet speeds Jman. 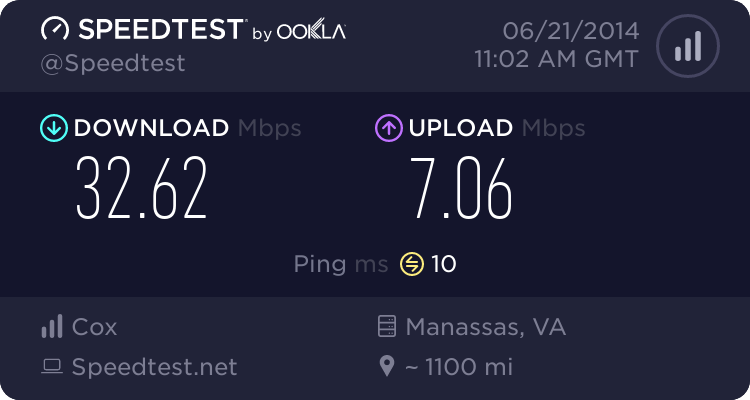 Right now I have generic DSL so my internet isn't all that smooth. Once I upgrade I will surely play with you. I think I minimum of 60-70kb/s upstream is needed, along with a good geographical location to get decent gameplay.